Recently New Railway job circular published Daily Newspaper at Financial Express. You can check this Circular in my website. Education Qualification : Student have to pass SSC from Bangladesh. For more information about this Govt. railway job circular keep reading below the image. Age Limit : 18 to 22 years Old. Hope you read carefully this new bd govt railway circular . You can Get all Bangladesh Railway job News and Job Result at www.ejobscircular.com. Thanks for visiting our website. 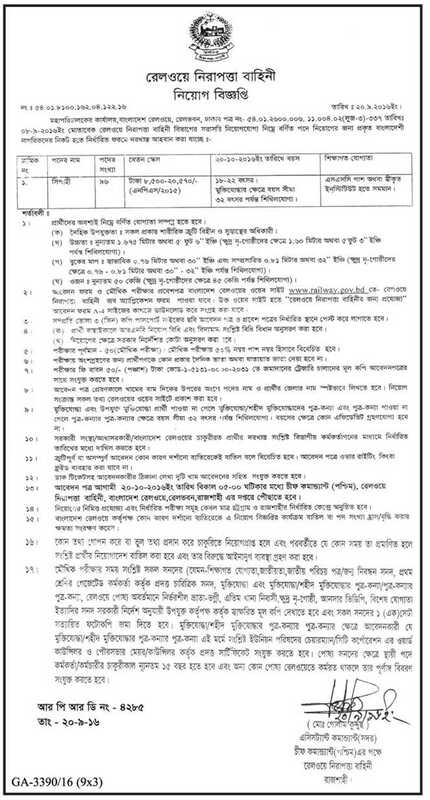 This entry was posted in BD Govt Jobs 2019, Employment News, thefinancialexpress and tagged Railway Jobs by ejobscircular. Bookmark the permalink.